My husband and I were going through some fertility procedures and we were unsuccessful! About the same time I was looking for a Schnauzer we had a salt and pepper mini when I was a girl and really love the breed. I found Allie online from a rescue shelter and we went to look at her. I was very depressed and just wanted a sweet baby. Allie filled that void in my heart and then some. She is the best girl anyone could ask for. We got her at 7 months and she potty trained in 1 day and leash trained in 3. Such a smart girl!!! We love her with all our hearts and she is our sweet baby. We couldn't ask for a better dog. She is seven now and rules the house. What a pretty girl! They are special little family members. Only a schnauzer owner knows how special they are. Glad she brings happiness to your life. Love the picture, she reminds me of my grand doggie Sugar who we list last year. 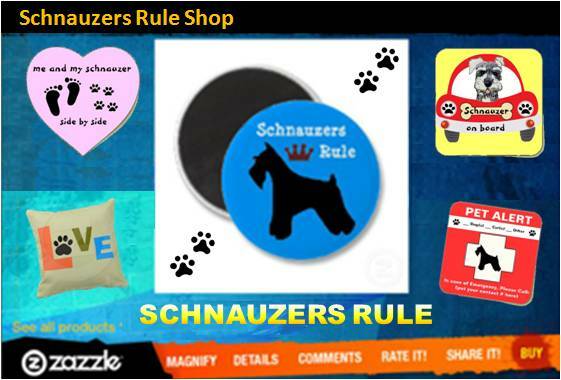 Aren't we so lucky to be owned by a schnauzer! Allie is beautiful. My Harley Davidson is a salt and pepper and will be 13 in June. He is a therapy dog and has been for over 10 years. Join in and write your own page! It's easy to do. How? 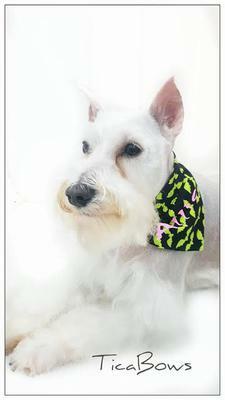 Simply click here to return to Miniature Schnauzer Rescue Stories.